We have partnered with some of the best business solution providers to offer our customers the most advanced toolkit for streamlining workflows, engaging better with customers and generating revenue. There are many ready made solutions for integrating to your company's existing systems. In addition to tried and tested integrations it is very easy to create integrations and extensions to giosg service. We welcome your integration partners and developers to create small or large applications to serve your business! Efecte offers cloud-based (Software as a Service, SaaS) service and identity management solutions, supported by professional services. Efecte's solutions streamline and simplify management of services, IT systems and infrastructure in organizations. Upseller offers Chatbot as a Service. True AI chatbots for customer service, sales or tailor made. Offering the whole package, from business case to continuous development by Upseller´s Ai trainers. Streamline lead generation by capturing website visitor information directly into Hubspot CRM (e.g. name, company, email). This integration makes it possible to use Skype for Business to chat with visitors. Chat can be handled without having to log in to the giosg console. In addition, first line chat agents can also invite other Skype for Business users to the conversation. 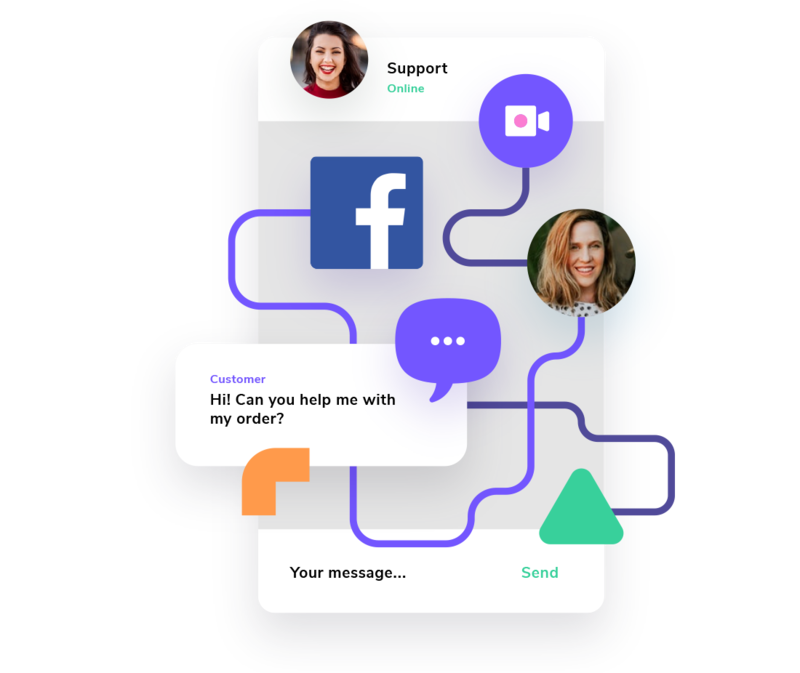 With this integration, you can add live chat to your WooCommerce shop and start engaging more successfully with your online customers. Come and chat with us to learn more!